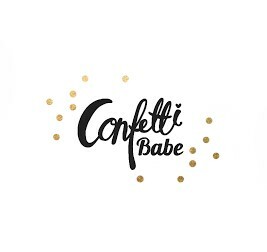 Confetti Babe: What Birth Plan? 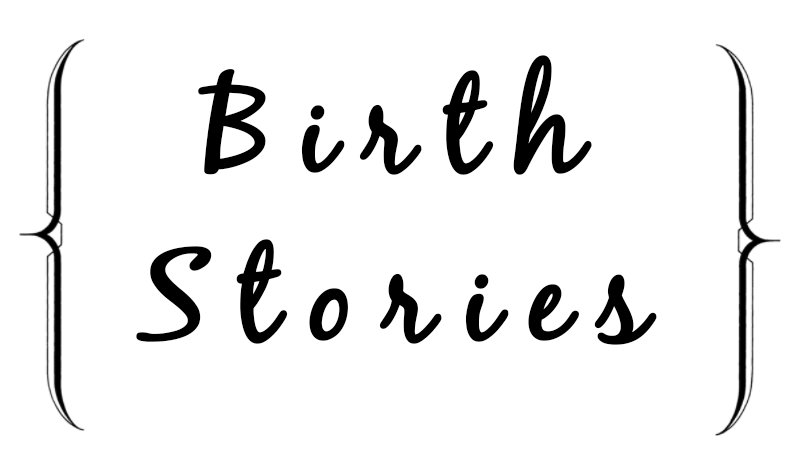 So this week, we are all speaking about our birth stories and birth plans (this is a long one). When I found out I was pregnant I was only a few weeks along. Something felt off so I decided to take a test and it came back positive. I was in shock, so like anyone I took another and it was also positive. My husband was out of town for an indoor track meet so I decided to send him a photo of the positive test. He was even more in shock than I was but we were so excited for this little bundle of joy that was growing inside of me. Fast track 6 months later.... I was under a lot of stress in my life at this time, not only with my pregnancy but my father became very ill and was admitted to the hospital. Because he had no will, I was his next of kin and had to make the very hard decision (with the help of my family) to take him off life support. He passed away on his birthday (only my dad would do that... he was a crazy, funny guy and just an all around amazing father) and it was one of the hardest things I have ever had to go through. Especially because he was never going to meet his granddaughter that he was so excited about. I had to start dealing with all his final arrangements and his possessions. My daddy and I at my wedding. From when I was little. I started bleeding at 31 weeks and was completely scared and rushed to the hospital. They determined that I was fine in the labor and delivery ER and the bleeding had subsided, however they ran a fetal fibronectin (fFN) test on me which came back positive. For those of you the don't know what a fFN is, it is a test to determine if you could go into labor within the next week or so, but a positive test isn't usually reliable because it could very well be wrong. I saw my OB the next day and she put me on bed rest and I had to come see her every week now instead of every 2 weeks. Fast forward to 36 weeks.... baby girl was still cooking which was such a relief. I was having ultrasounds every other week and also non stress tests on the weeks that I wasn't have an ultrasound. I was also able to come off bed rest and go back to work at this time, which was awesome because I was so bored at home. Look at those cheeks (they are still just as chubby). At my 38 week ultrasound, Kennedy was measuring very small for her gestational age. My doctor told me that if I hadn't gone into labor by October 1st, that she was going to induce me because Kennedy might do better gaining weight outside the womb. I was perfectly fine with this because I really did not have a birth plan. I knew I wanted an epidural and to try and avoid a c-section at all cost. September 28th rolled around and my OB told me "well we are going to be having a baby on Tuesday, October 1st. I was beyond excited and scared. I couldn't believe I was actually going to finally be able to meet this little girl that we had created. I already loved her so much and I knew that as soon as I saw her my love would grow even stronger. October 1st came and we headed to the hospital at 7 a.m. We were placed in my birthing suite and I got hooked up to all the monitors and started the saline drip. By 8:30 a.m. I was hooked up to the pitocin and my OB came in and broke my water. Then the contractions really started... remember how I said my "birth plan" was to get an epidural.... well I kept asking for it and was told that it wasn't time because I was only 4 cm dilated. My grandma and husbands grandparents were there along with my mom. A couple hours later they were finally ready to let me have my epidural, so they kicked the grandparents out of the room. They gave me some meds in my IV to help relieve some of the contraction pain before my epi, which made me feel high as a kite, but at this point I was having the urge to push with each contraction and decided to tell the nurses but they kept telling me it wasn't time to push yet... but I really couldn't control what my body was doing and I kept saying "I really think it's time." They checked me and sure enough, I was right, I had gone from 5 cm to 10 in a matter of 10 minutes. My OB barely made it down stairs!!! As I'm in the middle of pushing the anesthesiologist makes his way in, takes one look and says "well I don't think I'm needed here" and walks out. 7 minutes and 3 contractions later (a comment from my OB that we weren't going to cry this baby out... haha she's amazing) and my hubby almost passing out, our beautiful daughter, Kennedy Grace, was born. Immediate skin to skin contact. At 12:35 p.m. just 4 hours after they broke my water, my life changed forever and I have never been happier. She weighed 5 lbs 6 oz and was 18.5 inches long at birth, small but very healthy and she passed all her tests with flying colors. I was able to have immediate skin to skin contact with her and tried to breastfeed right away. The lactation consultants at my hospital were amazing and helped me so much. Taken at the hospital at 1 day old. Heading home as a family at 2 days old. Overall, my birthing experience was very positive, with a few minor bumps along the road. I love my daughter with all my heart and am one very proud mama. Now knowing that I CAN handle a natural childbirth, it is how I would like to have our next child (whenever that may be).